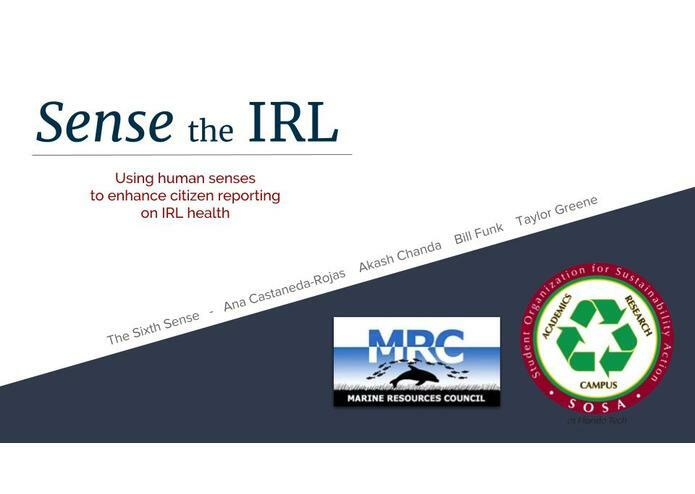 A website and mobile app of crowd-sourced, community-driven observational data reporting on the health of the Indian River Lagoon. 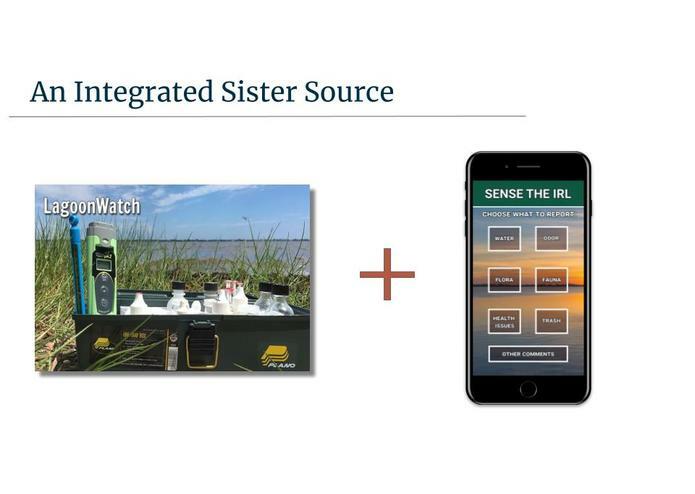 While data sample entry sites exist already for the "clean up the Indian River Lagoon initiative", that data is technical and can often require volunteers to purchase materials and equipment, or undergo technical training. 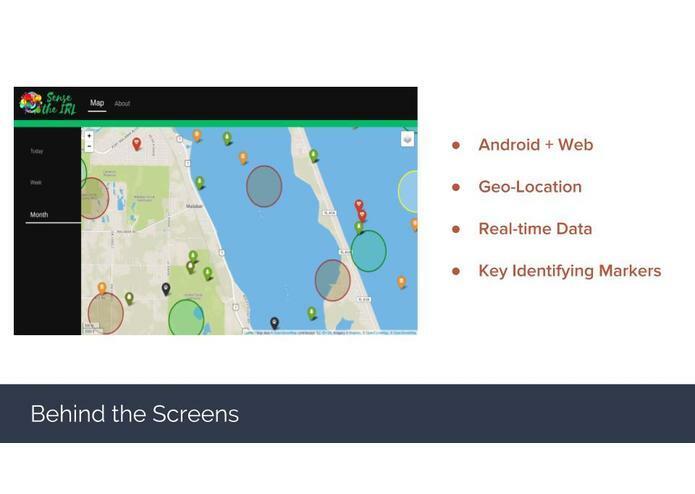 This site focuses on the "softer" layer of community entered data. Where does a would-be volunteer without equipment or training go to contribute their observations? 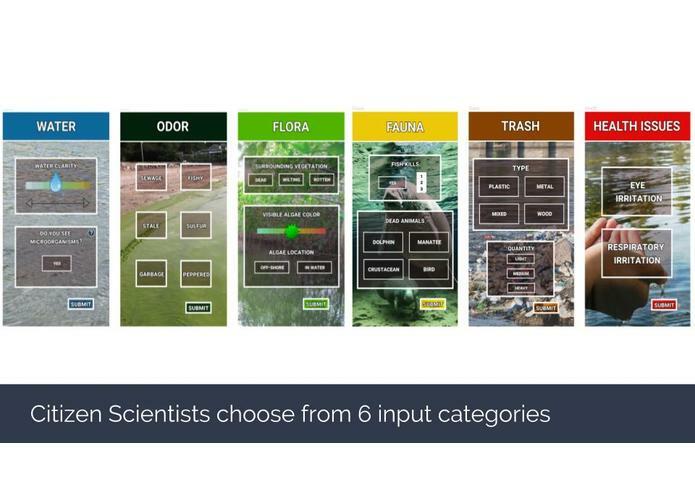 This site uses the human senses to collect soft data from the average human observer. From this data, technical volunteers might narrow down their search for where to collect samples rather than an entirely random sampling. 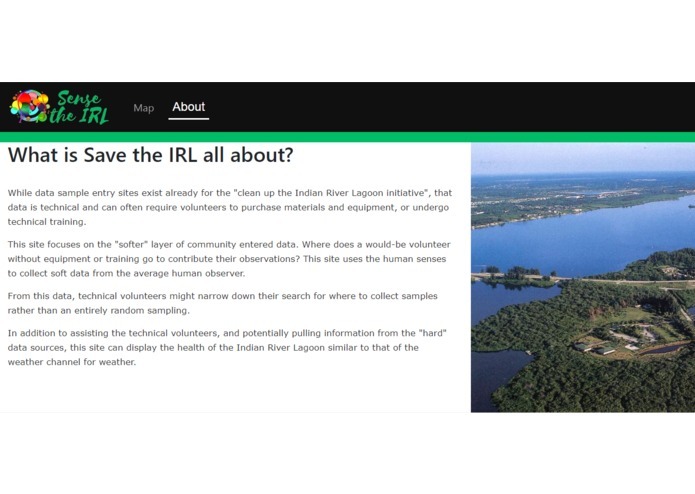 In addition to assisting the technical volunteers, and potentially pulling information from the "hard" data sources, this site can display the health of the Indian River Lagoon similar to that of the weather channel for weather. 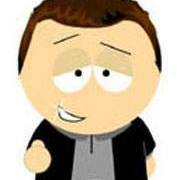 Built the backend (database with MySQL, simulated data generation, and REST endpoints with Node and Express). Also, created the frontend website using Angular 5 and Leaflet. 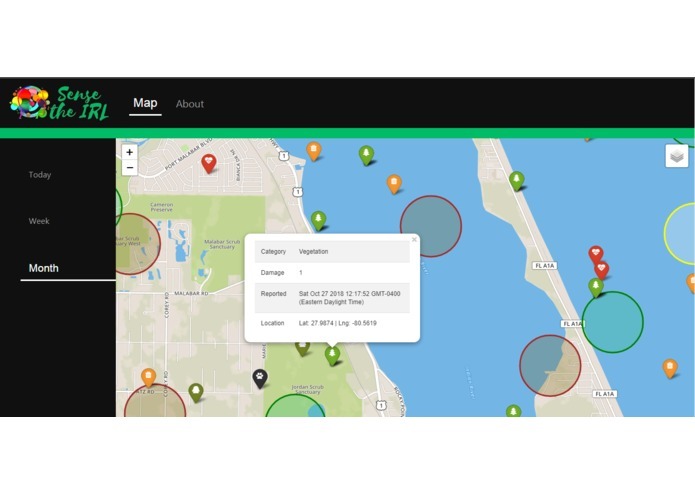 I worked on the front-end, developing a cross platform application using the Unity engine and C# that would offer an attractive and simple interface that encourages the general population to take ownership of the lagoon and pride in its health. The initial plan was to use Mapbox to generate the in-app interactive map but I unfortunately didn't get to it.